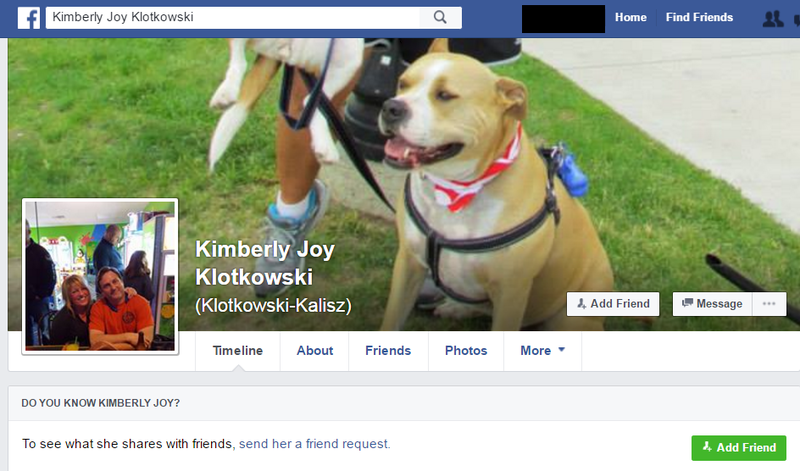 Kimberly Joy Klotowski from Brighton, Michigan, Server at Diamond Steak, Studied at The University of Texas at Austin, Studied at Eastern Mich, Went to Brighton High School, Went to St. Patrick Catholic Grade School- 8 yrs., Sends hateful messages to victims of pit bull attacks and their supporters. 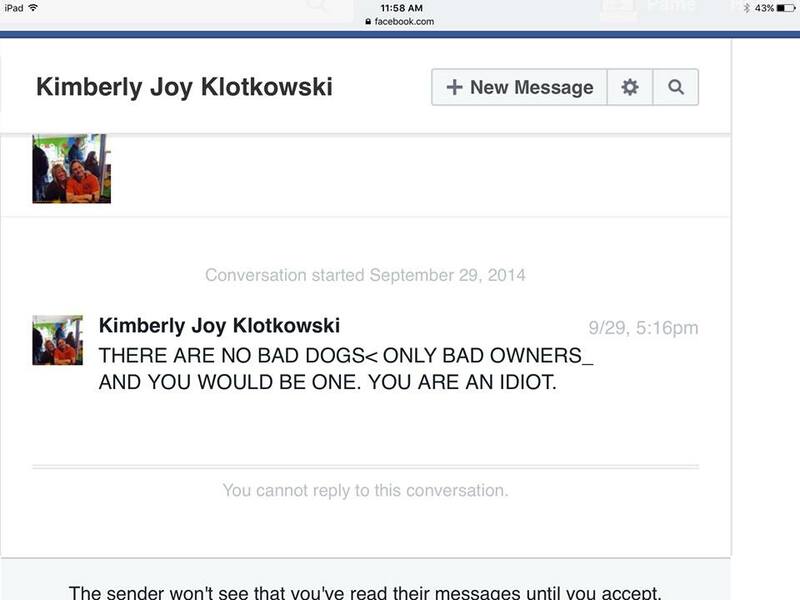 Tell Kimberly Joy Klotkowski this kind of online harassment is unacceptable. This entry was posted in hate mail and tagged Brighton High School, Brighton Michigan, Diamond Steak, Kimberly Joy Klotowski, St. Patrick Catholic Grade School, Studied at Eastern Mich, Studied at The University of Texas at Austin. Bookmark the permalink. ← Monica Massaro, from Orland Park/Rockdale/Chicago Area, Illinois, Sends Hateful and Threatening Messages To Victims Of Pit Bull Attacks and Their Supporters.